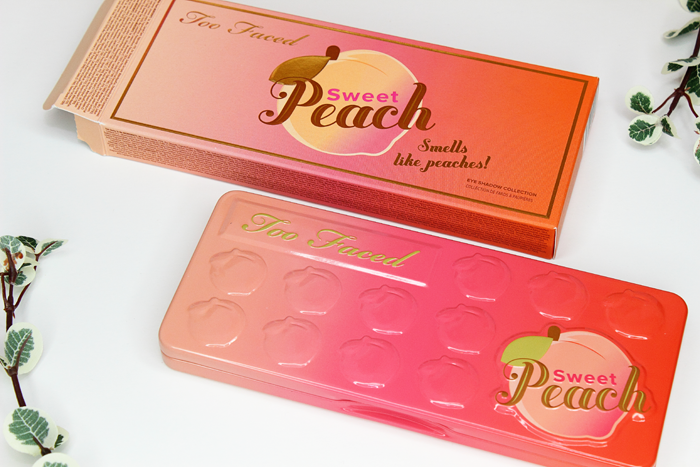 When I first saw this palette I knew I was going to have to make it mine. Too Faced does this to me all too often. I’m sure I didn’t need another palette to add to my collection, but just look how cute it is! And it smells like peaches! I don’t have too many peachy shadows in my stash. Or at least that’s what I tell myself. 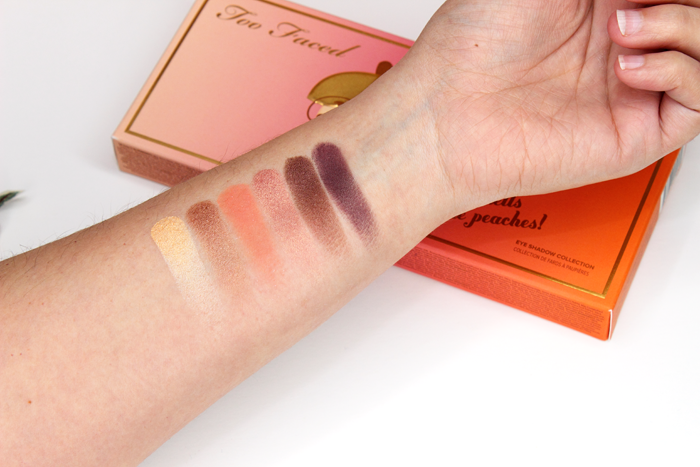 The Too Faced Sweet Peach Eye Shadow Palette contains 18 eyeshadows. 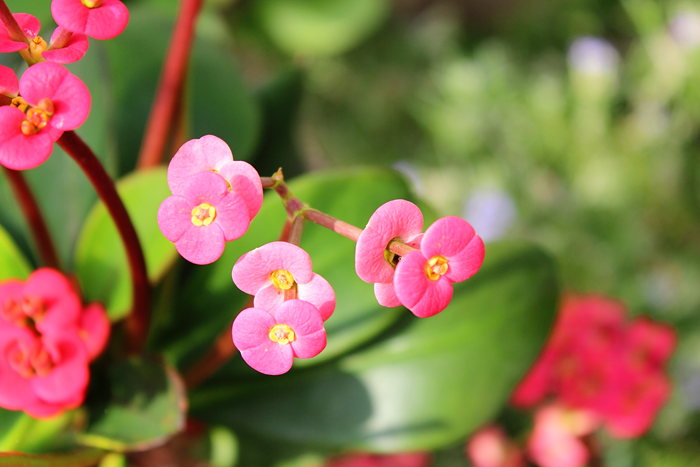 It’s a beautiful combination of peachy pinks, corals, bronzes, and purples. I absolutely love the corals! 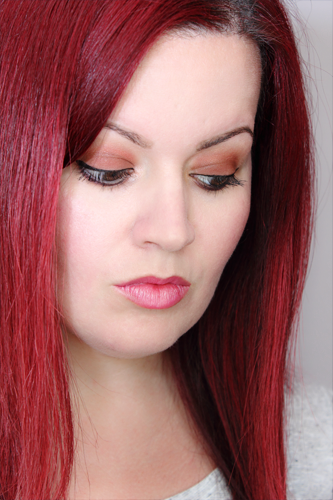 I don’t usually wear a lot of coral on my eyes, but it’s such a fun shade to experiment with. The shadows were nicely pigmented. I did have to swipe a few times for some of the swatches, but they built up nicely. They applied and blended beautifully. I did have issues with some of the darker shades. 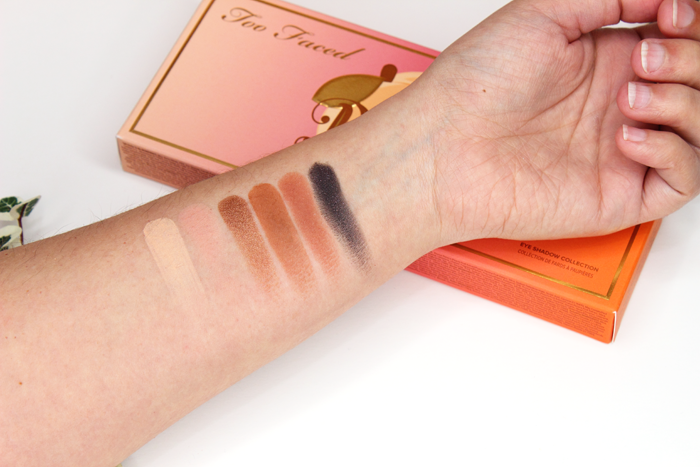 You can probably tell from the swatches alone. I mostly use those on my lower lash line so for me it’s really no big deal. But if you’re planning on using them on your lid or in your crease you might have a hard time blending those bad boys out. Delectable is actually much nicer on the lid than in the swatch. I’ll have to use it in a look later this week to show you what I mean. 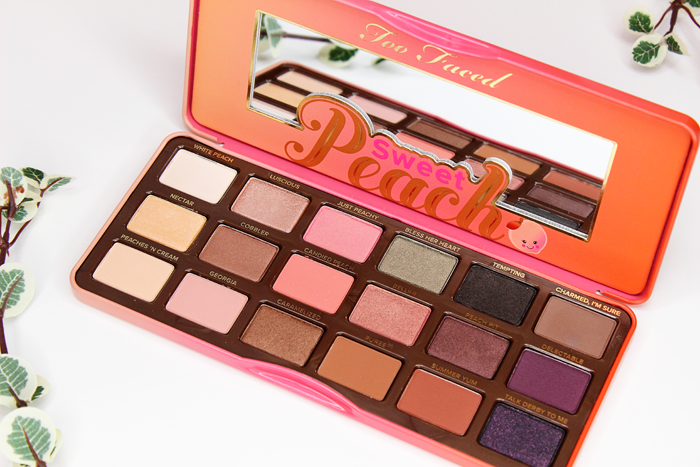 Here’s a look I created with the Too Faced Sweet Peach Eye Shadow Palette. I definitely plan to post a few more later on. Also, please pardon my bare nails. I’ve been doing some baking this week and I never paint my nails when I plan to bake. I always feel naked when I post swatches with bare nails. Oops? Ahhh! Velvetines! I could easily buy each and every single shade. And if you know me you know that I probably will. I’m such a sucker for liquid lipsticks. I see one and I want it. Or need it. Definitely need. I have been wanting Cashmere for the longest time. 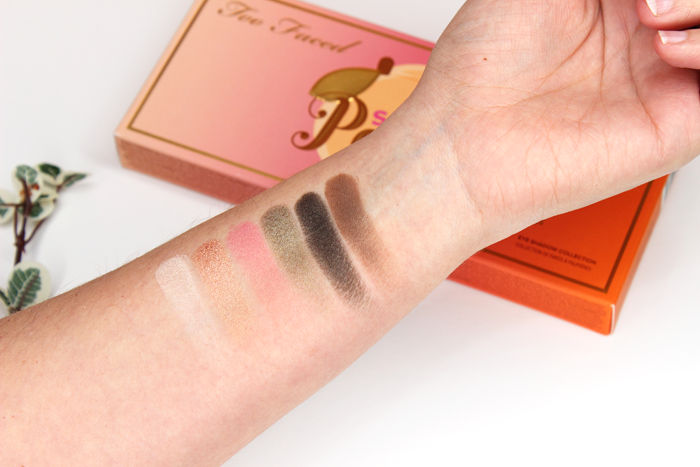 But when I went to order my Venus Palette I saw Faded and decided on that shade instead. Faded is described as a light mauve. 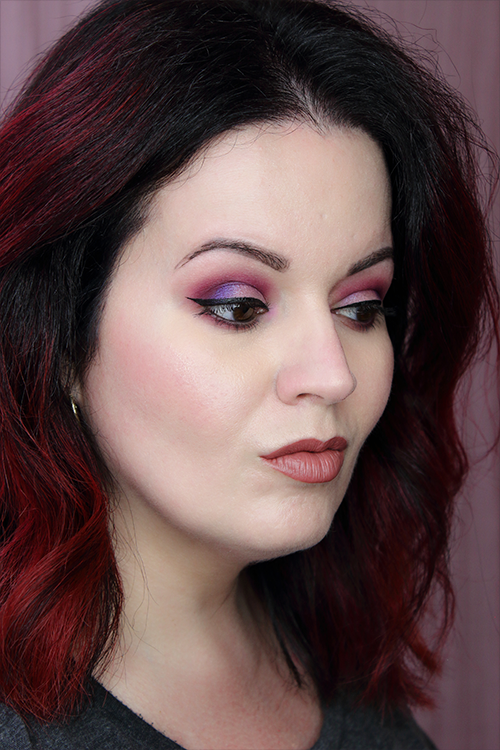 I seem to have a thing for mauve these days, huh? 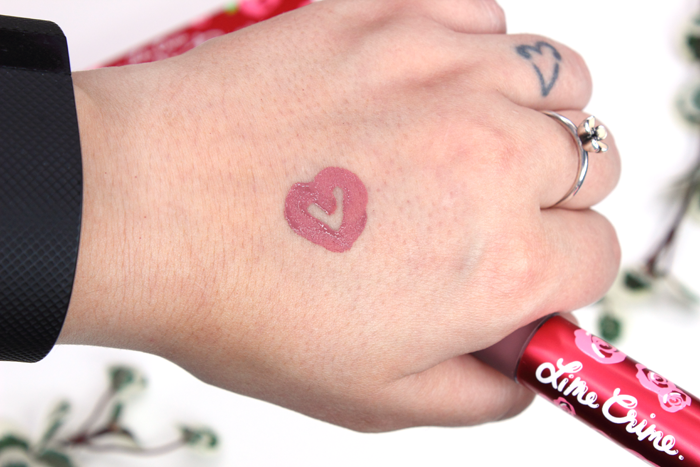 The applicator was super soft and made for the perfect application. It applied perfectly and I didn’t even have to use my lip brush! Also, it smelled like cake! Sweet, delicious, cake! For the most part this was in fact long lasting. But it did start to fade around 6-7 hours. It was very comfortable and lightweight. Faded is definitely a winner in my book. 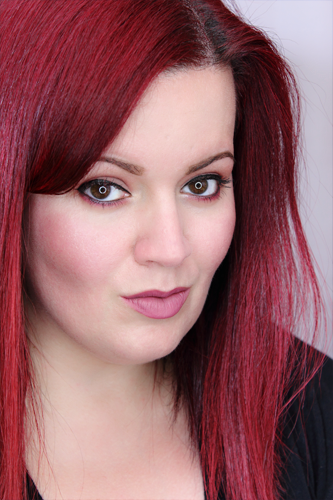 I love everything about this lipstick. And the packaging is just too pretty! 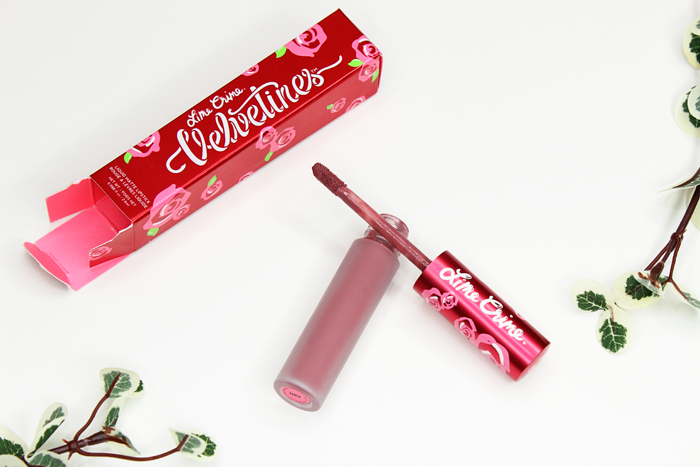 I seriously cannot get enough of Lime Crime’s packaging. I have to say that their packaging is easily one of the prettiest. I’ll definitely purchase a few more of these. I’m thinking I need True Love in my life. You can see Faded in action below.